Not a lot to say about the last week. I decided to clear all of the old projects that have been sitting my desk for quite some time. It was getting cluttered and my 14-month old is just starting to be able to reach everything on my desk. So, time to clear everything and get it back down to one project at a time! First up are four Artisan cowboys. 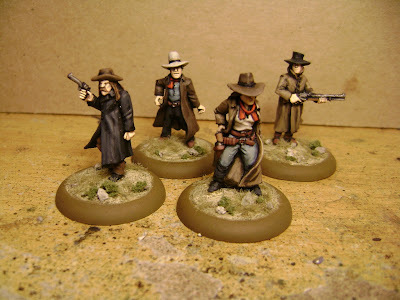 The guys at work have been playing some Legends of the Old West and I thought that it was about time these got some paint. They have been sitting on my desk long enough for the dust to settle and somewhat adhere to the primer! Anyway, a rush job to get these guys done. 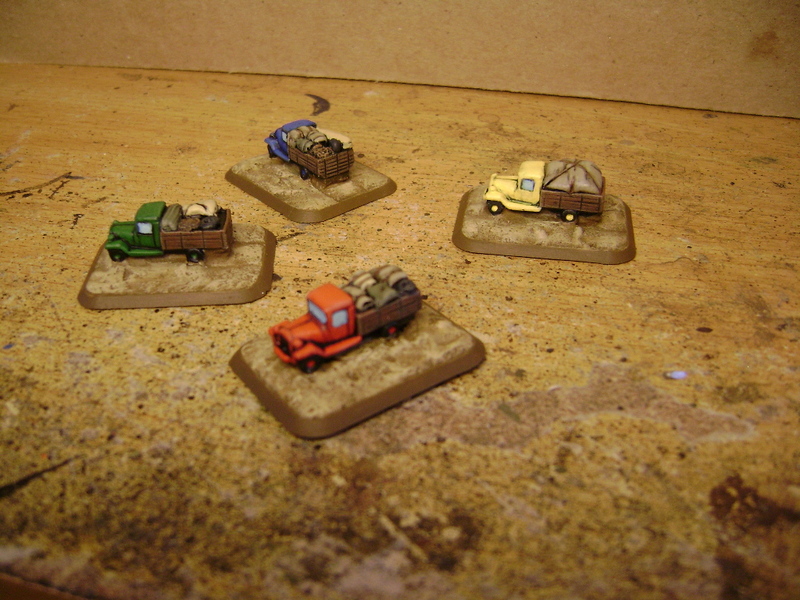 Next were four little trucks that I intend to use as gaming pieces for a desert exploration board game I've had on the back burner for about three years. The models are Firestorm Bagration Soviet trucks and the truckloads were sculpted by me. Sorry about the terrible photo! Finally, this Stuka has been on my table for a very long time, at least long enough to still have an old flight stand associated with it! I've got plans to alter it for the new stands and put the plane in a bit of a dive. 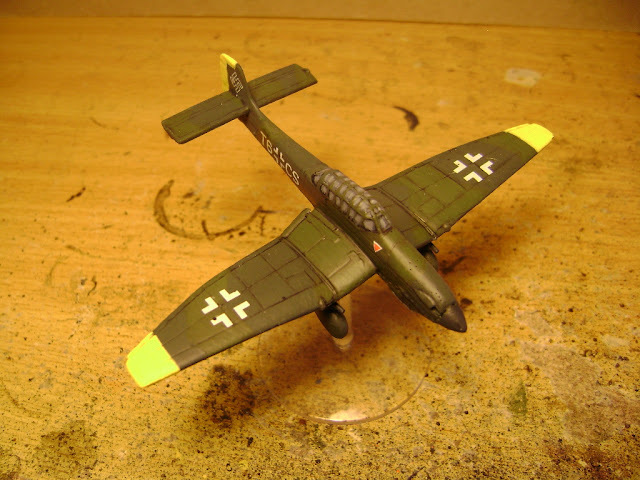 Its configured as an early model for my early war Germans. I'd like to do the 37mm cannon one next. I hope to have a more substantial update next week, so thanks for bearing with me and for stopping by! Nice work and it is actually satisfying to get old projects like this done. The tiny trucks look awesome. Artizan cowboys. We have been looking at Dead Mans Hand recently and I needed a clue for shoot out figures so thanks for that. I'd be curious to hear your thoughts on Dead Man's Hand. It looks interesting. We play Legends because its there, but I think we all agree that it suffers some pretty big problems. I'm always on the look out for good western games. Keep me posted!